Measuring 400 meters in height, the 100-floor Intercity Tower has been granted planning approval. The ambitious initiative, planned by Miloslavsky Architects, began in June 2014 and has now been officially approved by the Israeli Finance Ministry’s district committee. When completed, the new tower would become Israel’s tallest, stripping the Moshe Aviv Tower of that designation. The committee accepted both the construction plan and a recommendation by Tel Aviv’s city engineer, Oded Gvuli, to allow the tower to cover more than 166,500 square meters at its base. The colossal skyscraper will not include any residential apartments due its distance from Tel Aviv’s residential areas, but will house offices, public spaces, and hotel rooms. It will also feature 24 high-speed elevators to accommodate the heavy load of visitors and workers. 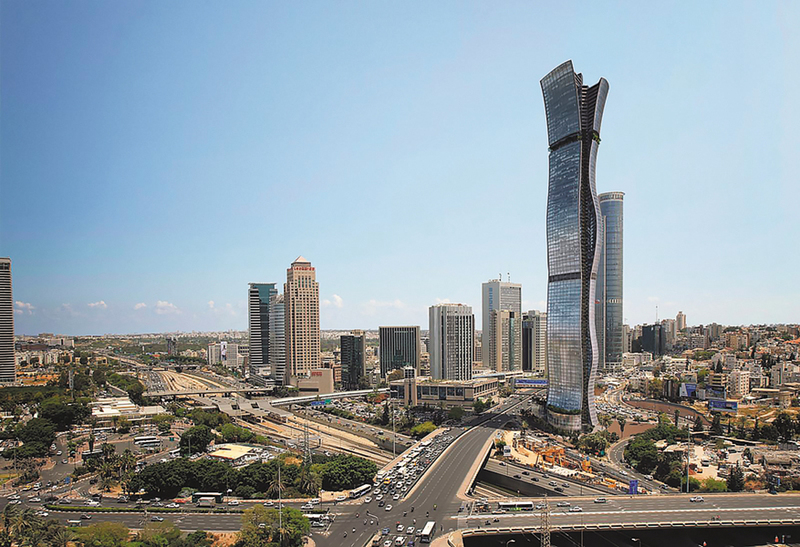 The tower is expected to be completed in 2023 and will be built on the edge of Israel’s bustling diamond district and business center, Ramat Gan.